RAGLAND, AL – The city of Ragland, Alabama is one of a hundred little towns across the U.S. that’s so small nobody ever pays it much attention. It has one stoplight and a tiny population … and a hip-hop crew that’s about to take the country by storm. 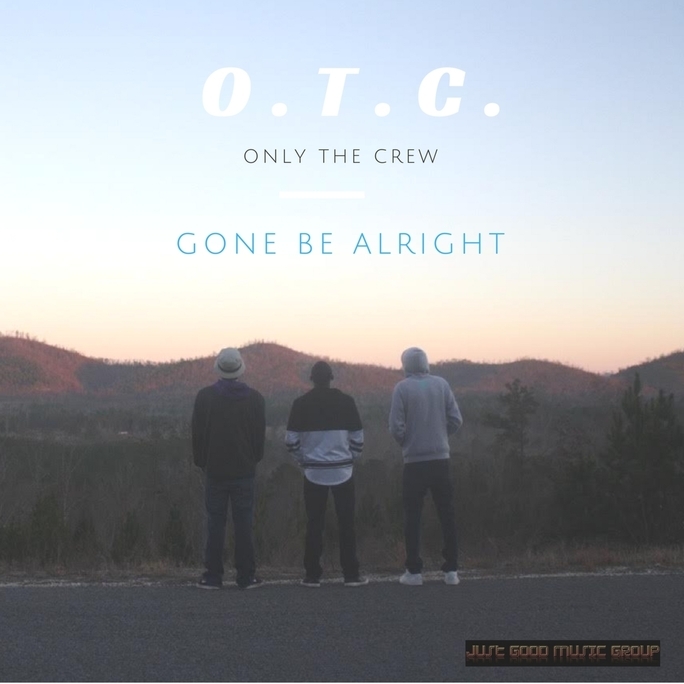 OTC (Only The Crew) is a three-man group made up of Dakota Gardner, AKA DG, Jacob Brewster, AKA Smokey, and Levi Campbell, AKA Chronic – three friends who grew up together in Ragland. They bonded at a young age while attending school together and playing little league sports together. Their friendship is tight – so tight that they refer to one another as brothers and couldn’t imagine life without one another. And today one of their favorite things to do together is make music. Their hot new single, “Gone Be Alright,” is testament to the unique talent they bring to the table. Its smooth beat mixes with a catchy hook and lyrics delivered in a unique, rhythmic style to deliver a song that fans will be putting on repeat while chilling at home or rolling down the street. The label they signed with is Just Good Music Group based out of Atlanta, Georgia. It’s the culmination of a lifelong dream they’ve shared – a dream that they know many people around the country will understand and relate to. In a time when many young men across the country dream of becoming a rap artist whose style and popularity outshines all others – going from obscure poverty all the way to a highly sought after commodity – these young men from Alabama is the ultimate rags-to-riches tale. Their real-life struggles are the foundation for the lyrics in their music. Their music video for the single “Gone Be Alright” highlights that brotherhood while showcasing their hometown of Ragland. It also shows off a group that embraces diversity. And though they say they don’t see colors or race, they are aware of how their group will represent a movement across the country to accept one another and break down walls of hatred and dissention. As OTC continues to grow its fan base and pump out new music, fans can follow along and engage with them by following them on social media on Twitter, Instagram and Facebook. Fans can also check out their music by visiting their Soundcloud or Reverbnation pages, or watching the music video for “Gone Be Alright” on their YouTube page. Other locations for their music include Spinrilla and LiveMixTapes. And for more information about the group or updates about live performances, fans can check out their website at onlythecrew.com.